The Klokers Klok-01 Watch must have one of the busiest and most intriguing watch faces around at the moment. 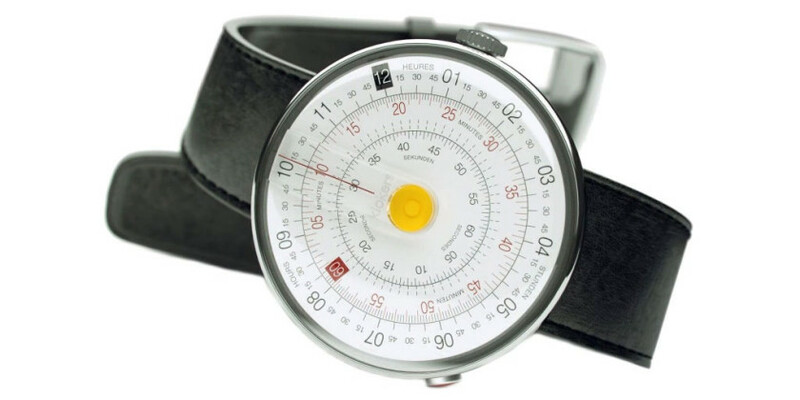 The Klok 01 was inspired by the slide rule, it uses three rotating disks to display the time, with a magnified vertical line at the top to help with readability. The watch features a generous 44mm, made from a composite of stainless steel and polymer, and the patented docking key system allows the bracelets to be easily swapped out, worn by themselves without the watch, or abandoned altogether in favour of a pocket watch-style chain. Klokers Klok 01 Watch : Kickstarter Watches 0 out of 5 based on 0 ratings. 0 user reviews.